US President says he looks forward to meeting North Korean leader. US President Donald Trump said on Twitter on Tuesday that he looks forward to meeting North Korean leader Kim Jong Un. 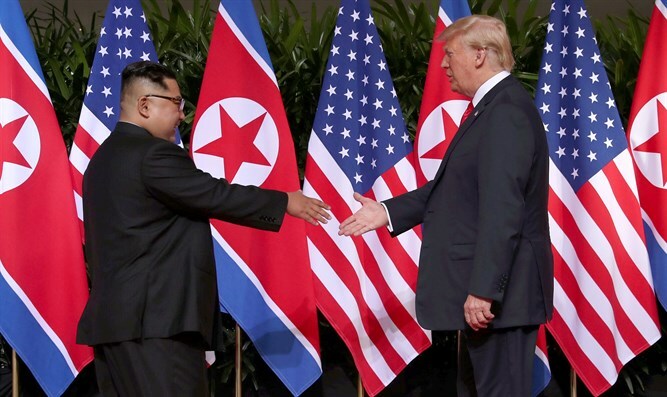 “Kim Jong Un says North Korea will not make or test nuclear weapons, or give them to others - & he is ready to meet President Trump anytime,” wrote Trump, quoting a report on PBS. Kim indeed said in his New Year’s address on Monday night that he is willing to meet Trump “at any time”, but also warned he would seek a “new path” if the United States continues to demand unilateral action from North Korea. The North Korean leader added there would be faster progress on denuclearization if the United States takes corresponding action. Kim’s message on Monday night followed reports that he had sent a “conciliatory message” to Trump last week.